Blurry Arroyo trees through a Gold Line window by Andy Nystrom via Flickr/CC. This Sunday, Jul 5, from start of service until 11 a.m., trains will run every 20 minutes and share one track at South Pasadena and Fillmore stations. Crews will be trimming trees in the area to ensure their branches don’t interfere with Gold Line trains or power supply wires. Crucial traction power and track inspection work will also continue each weekday next week from 9 a.m. to 2:30 p.m. Monday Jul 6 through Wednesday Jul 8, trains will run every 20 minutes along the entire line, sharing one track at South Pasadena and Fillmore. Longer, three-car trains will be in service as midday maintenance occurs, so customers should board using the entire platform to avoid crowding. Thursday and Friday, Jul 9 and 10, trains will operate with minor delays between Lake and Sierra Madre Villa from 9:30 a.m. to 2:30 p.m., sharing one track at Allen. Customers traveling on Wednesday evening should anticipate Gold Line arrival times of every 20 minutes after 8:30 p.m., as track work occurs in the East L.A. segment. During this time, trains will share one track at Maravilla and East LA/Civic Center stations. Finally, the big heads up: next Friday after 9 p.m. through Sunday, close of service, Gold Line rail service will be replaced by bus shuttles between Lake and Sierra Madre Villa Stations. Though a pain, the reason behind the service change is pretty exciting: Metro will be working to tie in the signaling systems of the Pasadena Gold Line and Gold Line Foothill Extension. While this work occurs, testing will also take place on the segment of track between Lake and Sierra Madre Villa to make sure the new, Gold Line Extension trains are compatible with the current system. We’re almost there folks! More details on the closure, such as where to connect with bus shuttles at Lake, Allen and Sierra Madre Villa Stations will be posted next week. So please check back here at The Source for updates. Until then: have a great Independence Day Weekend. 1. 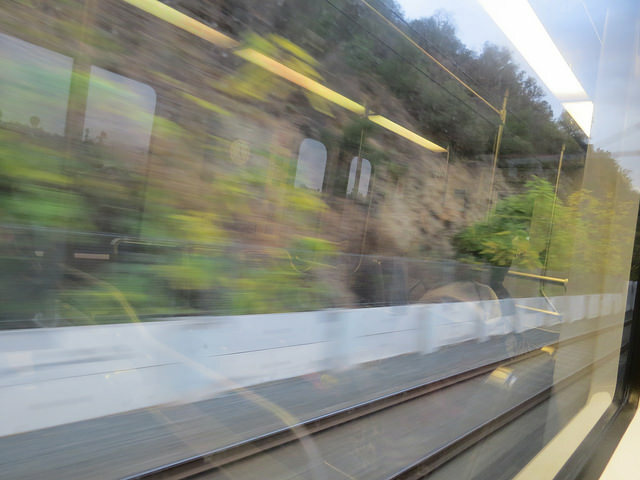 Just how long is this Gold Line refurbishment going to last? I, for one, had no idea when this began that it would last this long and, like others, have had plenty of occasions when three-car trains weren’t running. It might be helpful, to say nothing of transparent, if the full facts were disclosed. 2. Considering that the original Gold Line and the Extension were built by the same firm, how much testing should be necessary to make sure the systems are compatible? Or, to put it another way, is this going to be the first of innumerable weekends where this testing will take place. See No. 1 above. The Gold Line maintenance is expected to continue through August, and we will continue to update here if anything changes. As for the work being done at Sierra Madre Villa, there is both testing and work to actually connect the various controls. Ultimately, CPUC will need to evaluate. There is no estimate at this time if future closures will be needed, and again, we’ll continue to update as we receive information. Building a better gold line?